This year we began our Livestock Management class by raising rabbits. In addition to raising rabbits, we are hoping to expand to goats, poultry and sheep. Check back soon for more information. 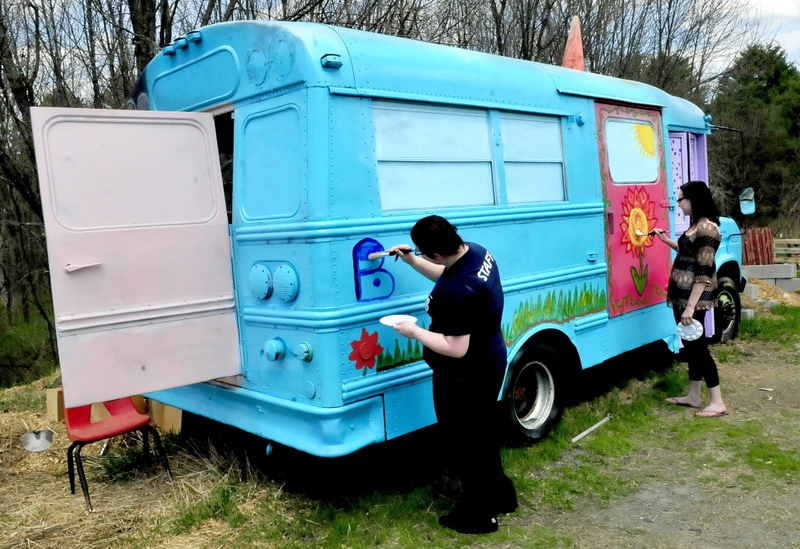 Two students help paint the "Bunny Bus" one of the major components of our Livestock Management program this year.